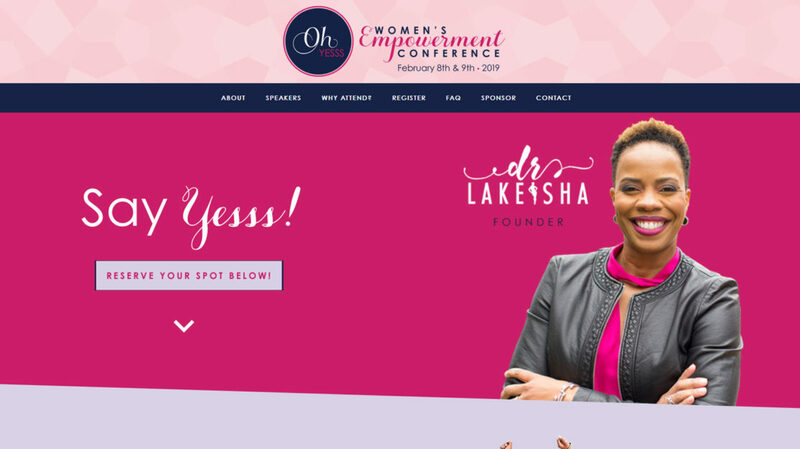 Oh Yesss Women's Empowerment Conference Website Wins Web Guru of The Day - That Creative Guy | Branding. Visual. Design. Expert. Oh Yesss Women’s Empowerment Conference website wins Guru of the Day! The globally recognized Web Guru Awards acknowledges well designed, functional and impactful websites through honoring them with a badge of honor as Guru of the day, month or year. From portfolio to eCommerce websites, people from all over the world get a glimpse of what you have to offer.